We have a wide range of gift ideas including Troika Pottery, PenDelfin Rabbits, Hornby locomotives and OO gauge models. Don’t leave it too late to place your Christmas order, our last posting date is approaching fast! This entry was posted in Gift Ideas and tagged Crown Devon, Hornby, PenDelfin rabbits, Poole Pottery, Shelley on December 10, 2014 by Perfect Pieces. Christmas Gifts Under £50 At Perfect Pieces! If you’re still shopping for Christmas presents then be sure to check out the Perfect Pieces website, www.PerfectPieces.co.uk. We have a wide range of antique pottery and collectable gift ideas to suit all budgets! Lovely Poole Aegean spear dish, adorable Beswick Winnie The Pooh collectable figurine, collectable Hornby loco & tender, attractive PenDelfin Event Piece, and a collectable PenDelfin gallery Series plaque Wakey. If you have more than £50 to spend or less than £50 to spend then simply use the menus at the top of our website to select your price range. You’ll then be able to view everything we have to offer to suit your budget! If you have any questions on Christmas delivery times or specific order requests then please do not hesitate to get in touch. This entry was posted in Gift Ideas and tagged Aegean, Beswick, Christmas Gifts, Hornby, PenDelfin, PenDelphin, Poole Pottery, Winnie The Pooh on December 10, 2012 by Perfect Pieces. Hornby OO Carriages & Locomotives For Sale – PerfectPieces.co.uk Trains & Models! 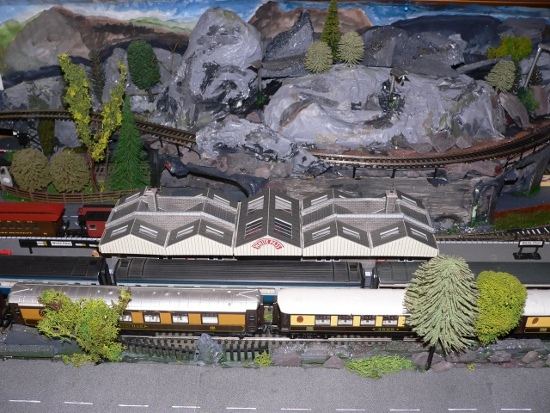 If you have a model train village you’re looking to expand then be sure to check out our Trains & Models section. We have a wide range of Hornby OO gauge carriages as well as some interesting OO gauge steam locomotives. For example, in this section on the Perfect Pieces website you will currently find a lovely Trix Trains A H Peppercorn LNER 525 engine & tender still in its original box! We also currently have for a sale a CORGI Original Omnibus OM41404 AEC Regent double decker model bus. This is a 1:76 scale bus which is the same as the OO gauge so is perfect for OO gauge model railway villages. We have a wide selection of both OO gauge carriages and trains. If you can’t see what you’re after simply get in touch and see if we can help. This entry was posted in Trains & Models and tagged 1:76, A H Peppercorn, Hornby, Model bus, Model railway villages, Model villages, OM41404, OO gauge, Original Omnibus, Trix Trains on June 11, 2012 by Perfect Pieces. 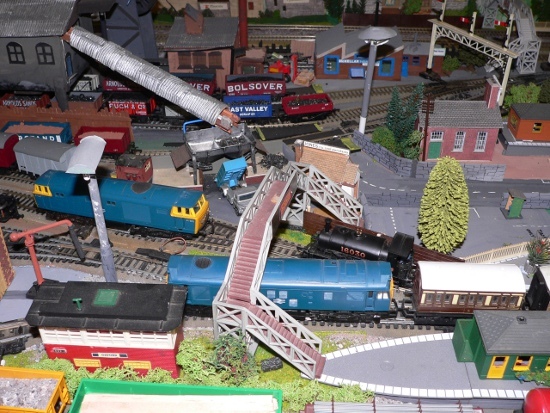 Diecast Models & OO Gauge Trains and Carriages – Do you have a model world somewhere? On the Perfect Pieces website we have a large selection of diecast models and OO gauge trains and carriages for sale. Pieces range from Corgi limited edition model buses to fine Hornby and LIMA locomotives. Trains and models are collected for all sorts of reasons but many people collect them to expand the model worlds they create. If you’ve never seen a model world then you’ll be amazed. The time, effort and detailing that goes into them can be superb. The National Railway Museum at York has a fine example stretching some distance through two galleries. This museum is certainly worth a trip even if you’re not an enthusiast. With free entry it really is fascinating and you can spend hours wandering around the full size locomotives, watching films and browsing the archives. 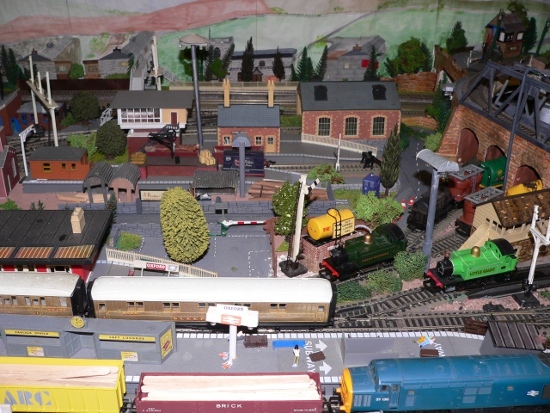 If you have created a model world built around trains, buses or anything else at all, then leave us a comment or email us a photograph which we can publish on the blog – we’d love to see your creations. Here are some pictures from a model creator we’ve had sent in. It looks amazing with huge amounts of detail gone into both the scenery and track layout. This entry was posted in Trains & Models and tagged Buses, Carriages, Corgi, Diecast models, Hornby, LIMA, Models, OO gauge, Trains on November 18, 2011 by Perfect Pieces. There’s nothing like a steam train to create a glow of nostalgia and a sense of rail-born romance. 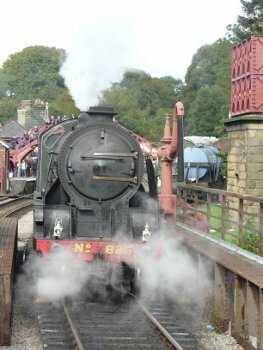 All over the UK, small groups of enthusiasts keep old trains and short lines open through devoted volunteer efforts and by capturing the public’s desire to experience travel by steam train – especially in the countryside. 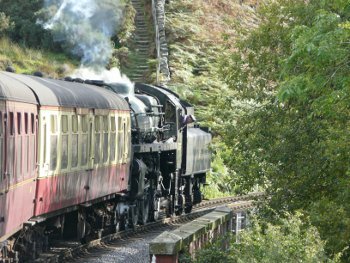 One of the best I’ve ever travelled on is the North Yorkshire Moors Railway, which runs from the market town of Pickering, through Goathland (of ITV Heartbeat fame) up to the village of Grosmont, in the heart of the Yorkshire Moors. The trains and stations have been really well preserved and vintage diesels are in use as well as steam engines. If you are in the area, it is well worth a visit – even if you just stand at the station and admire the locomotives from the platform! We’ve also got 20 OO gauge carriages and several 1:76 scale (OO gauge) die cast buses, trolley buses and trams in stock at present. This entry was posted in Gift Ideas and tagged Hornby, model railway, North Yorkshire Moors Railway, NYMR, OO gauge, steam locomotives, Trix Trains on September 9, 2011 by Perfect Pieces. This lovely working Hornby engine comes in it’s original display box with original window shop display card and is beautifully coloured in apple green with gold lettering. In our OO Gauge Coaches & Carriages section you’ll find examples of Hornby Golden Arrow Coaches (Hornby model number R230), Hornby Pullman coaches, Hornby Restaurant Cars, and some Triang coaches to name just a few! This entry was posted in New Stock and tagged 1:76, Hornby, Hornby carriages, Hornby engines, Hornby Locos, Hornby R230, Hornby R378, OO gauge, Triang on May 24, 2011 by Perfect Pieces.